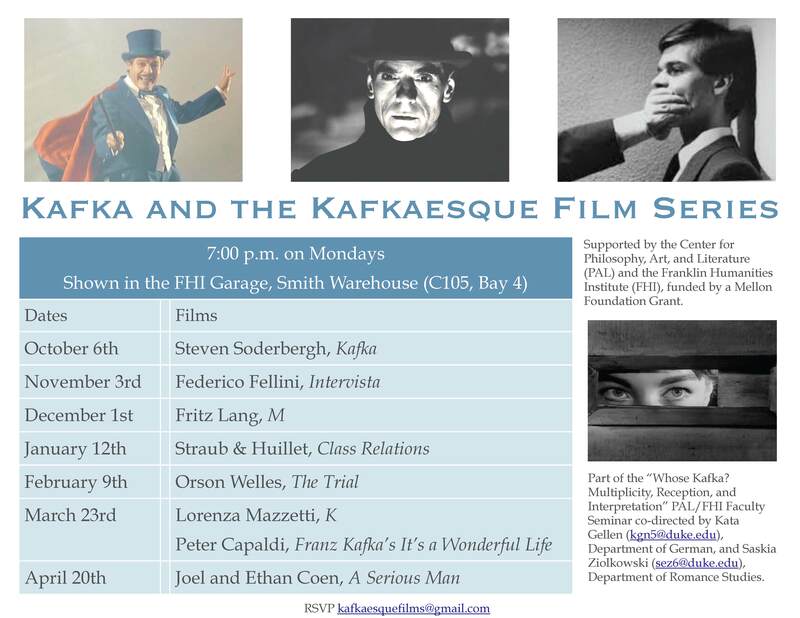 Click to see the full Kafka and the Kafkaesque film series. 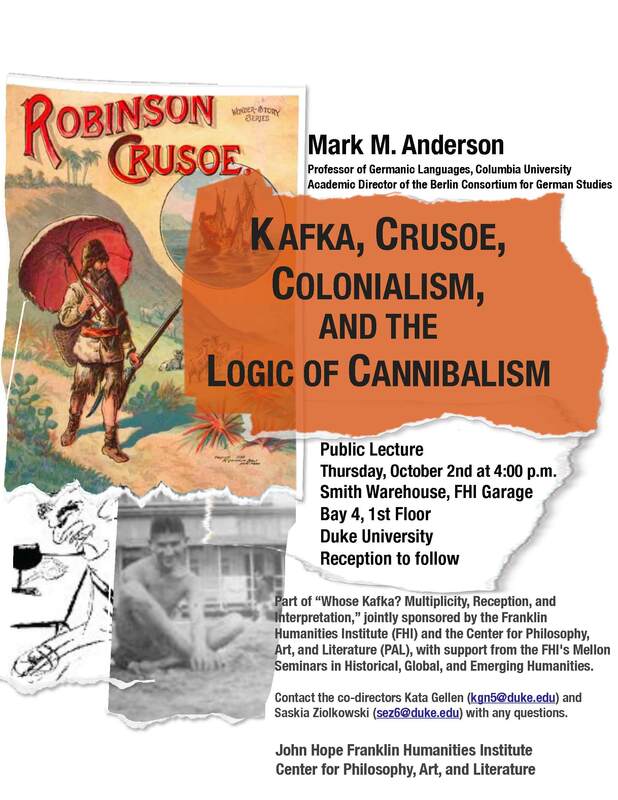 The public is invited to attend these PAL/FHI Lectures organized in conjunction with the “Whose Kafka? 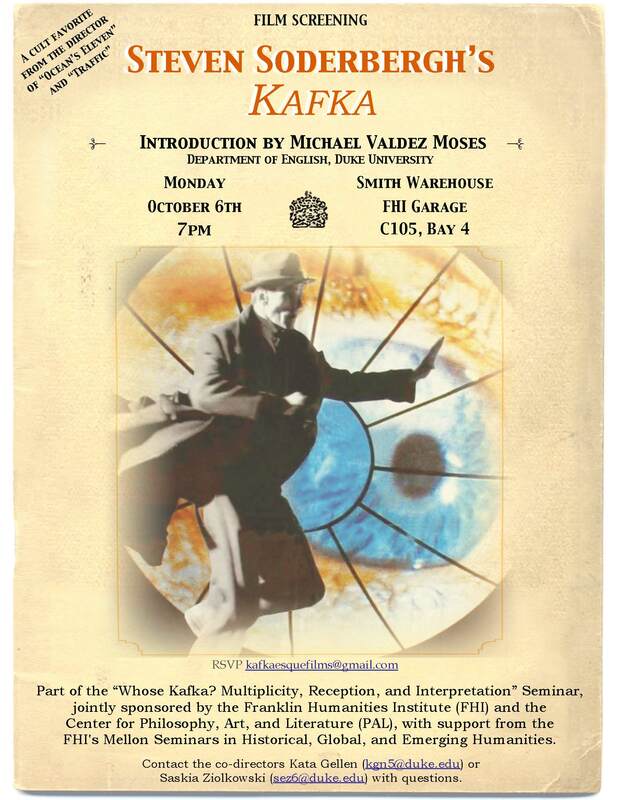 Multiplicity, Reception, and Interpretation” Mellon Faculty Seminar, co-directed with Kata Gellen. 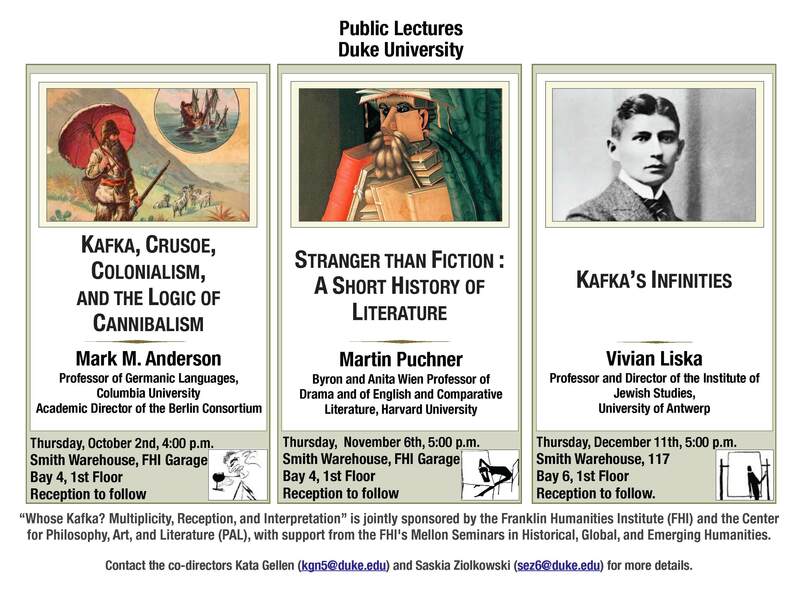 Each seminar has a different topic for which we discuss a primary text by Kafka and secondary literature by the guest scholar.